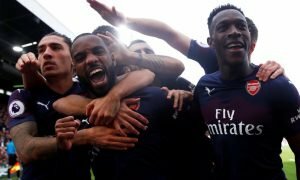 Wenger rules out loan bid for striker | The Transfer Tavern | Where football transfer rumours fly or die! Our Arsenal fans here at the Football Transfer Tavern have gloomily ordered another pint upon hearing the news in The Mirror that former hero Thierry Henry is set to miss out on a third spell at the club. With fans clamouring to have their former number 14 back, it had seemed likely that the Frenchman would be visiting the Emirates for a third and possibly final spell yet during the MLS off season. However, the only time Henry will be spending at the club will be in training to help current number 14 Theo Walcott out who has been revelling in the centre forward’s position of late. 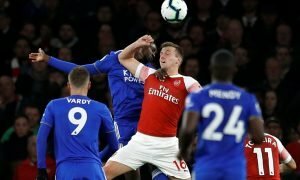 Despite the form of Walcott and the inspired signing of Santi Cazorla in the summer, Wenger has still seen his side drop far too many points and raged“desire and sharpness” were lacking from his side over the festive period. Do you think Henry could have saved Arsenal’s season? Vote in our polls below.